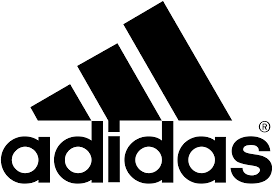 Adidas, the largest sportswear manufacturer in Europe and which designs and manufactures shoes, clothing & accessories, has filed nearly 50 trade mark lawsuits against different organisations in the last five years. Adidas owns trade marks for a specific 3 stripe design under footwear and clothing classes. The company’s simple 3 stripe trade mark (made famous in 1950s after its use on shoes) means it could become diluted by too many similar stripe designs from other manufacturers. .
Adidas recently contested Tesla Inc.’s 3 horizontal bars logo on an electric car because of plans to extend the use of the logo on clothing. Tesla changed its bar logo to a numeric 3. Fast fashion retailer Forever 21 (who have been in receipt of trade mark lawsuits from adidas on more than one occasion) feel adidas has become too aggressive with litigation threats and they do not believe adidas should be able to own the market on all striped clothing.